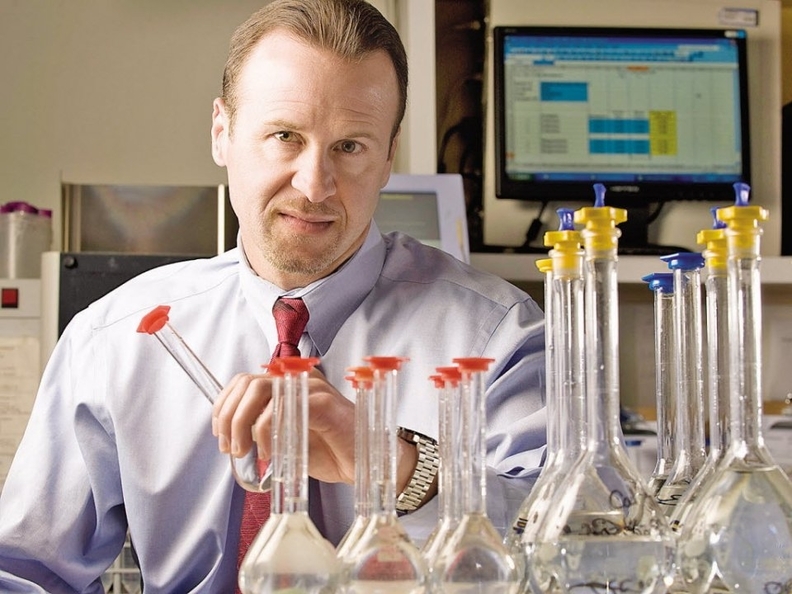 Rockwell Medical Inc., a Wixom, Mich.-based bioscience technology company, has hired a new CEO after reaching a settlement that includes $1.5 million in payments to two former top executives and two directors over disagreements on how to sell Triferic, the company's most promising drug. Rockwell said Wednesday that it has hired Stuart Paul as CEO, effective Sept. 4. Paul, a veteran drug industry executive, will also join the Rockwell board of directors. The settlement agreement is between five current directors of Rockwell and former CEO Robert Chioini, former CFO Thomas Klema, former director Patrick Bagley and director Ronald Boyd, who has agreed to resign from the board. Choini and Klema were fired in late May. "With these matters now firmly behind us, the board and management team will focus on executing on the company's near- and long-term objectives to realize the potential of our innovative renal drug therapies and drive value for our shareholders," Rockwell Chairman Benjamin Wolin said in a statement. Rockwell, which was founded in 1995 by Chioini, has been seeking approval for Medicare reimbursement for Triferic, a drug for kidney dialysis patients, for several years. The company (NASDAQ: RMTI) produces two FDA-approved main products, Triferic and Calcitriol. Triferic is used to replace iron and maintain hemoglobin in dialysis patients suffering from anemia. The generic drug Calcitriol, active vitamin D injection, is used to treat secondary hyperparathyroidism in patients undergoing dialysis. On Paul, Wolin said: "Having served in senior leadership roles with Baxter International, Gambro AB, Quest Diagnostics and Abbott Laboratories throughout his 25 year career, Stuart has substantial experience in the healthcare industry, including the renal space. "He is a well-rounded executive who not only brings significant operating expertise and commercialization know-how across both domestic and international markets, but he is also deeply familiar with the clinical development process. Stuart's successful track record of executing on commercialization strategies and driving growth and profitability will be critical to Rockwell Medical as we move forward." Rockwell will make a total payment of $1.5 million, $750,000 of which was paid at settlement and the rest to be paid in nine installments of $83,000 each. The company will also pay Boyd an additional $30,000 when he signs per the settlement agreement. Rockwell will accelerate vesting of stock options held by the four that were scheduled to vest through Oct. 2. They will have until May 24, 2020, unless the options expire sooner, to exercise any vested company stock options each of them hold. Chioini and Klema agreed to forfeit a total of 313,600 unvested shares of Rockwell stock issued in March 2017 as a performance-based award. Chioini and Boyd resigned from Rockwell's board. For the next five years, the settling parties agreed not to try to participate in the management or operations of Rockwell or its affiliates or subsidiaries. The parties agreed to drop a federal lawsuit without cost to either side. In addition to Wolin, the settling directors are Mark Ravich, John Cooper, Robin Smith and Lisa Colleran. In mid-June, Chioini and Klema filed a whistleblower lawsuit contending Rockwell's board members unduly enriched themselves with compensation and committed securities fraud. Rockwell denied the allegations and filed counterclaims against Chioini, Klema, Bagley and Boyd. Accounting and auditing firm Plante Moran PLLC quit Rockwell in June over failure of management to provide critical emails that affected a quarterly SEC filing. Over the past several years, Rockwell has financially underperformed, and activist shareholders have pressed Chioini to improve the company's governance, strategy and operations. Since May 22, Rockwell's share price has dropped from $5.94 to $5.12 on June 15 to $4.54 on Tuesday, when the settlement was announced. The stock's five-year high was $18.01 in July 2015. "Rockwell Medical settles with former CEO, CFO, 2 directors for $1.5 million" originally appeared in Crain's Detroit Business.